RENO, NV – OCTOBER 27, 2010: Chuck Dempsey, who had a heart attack in July, has made a full recovery and was released by doctors last week to return to off road racing. “It was a wake up call and luckily there is no damage to my heart,” said Dempsey who has hereditary heart conditions. Dempsey has taken a leadership role in encouraging everyone to get CPR certified and pay better attention to their bodies while racing. During a SuperLite test day on a very hot July Reno, NV afternoon, Dempsey got out of the truck and collapsed in cardiac arrest. With full medical staff on duty for the test session, they immediately started CPR until life flight arrived. Dempsey spent the next 7 days in the hospital with family and friends support. “I am so thankful for the medical team that helped me in the immediate response, and all my family and friends that have been here to support me since,” said Dempsey. A combination of heat and dehydration triggered his heart condition that is hereditary. “When it came down to the ‘why’, beyond the hereditary condition, it was because I was dehydrated. When we are out there racing we just put our foot down and don’t pay attention to our bodies, but it is important that we take time to drink water, eat and maintain a good balance,” said Dempsey. He reflects if the same incident had happened in the middle of a desert race vs a short course race the results would have probably been dramatically different. All Speed Technologies vehicles are now outfitted with defibrillators, and CPR training is mandatory for all team members. Dempsey will be seen on the track very soon. 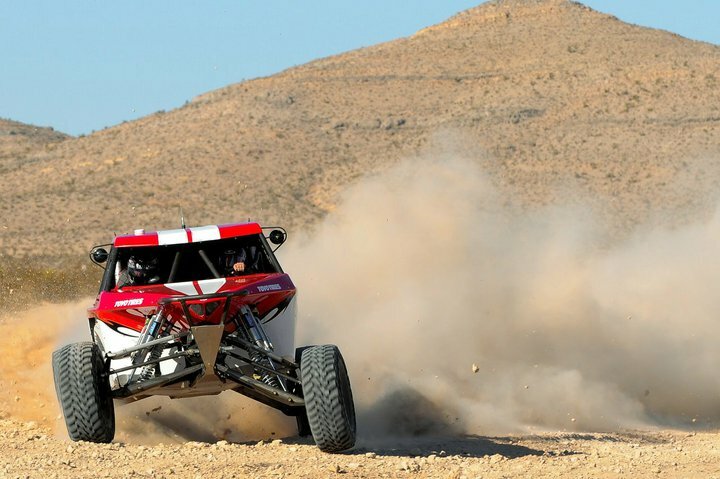 Speed Technologies had plans to run a Trophy Truck at the 2010 SCORE Baja 1000, but they could not successfully complete and test the truck prior to the race. Dempsey will also continue to focus on hosting SuperLite Live TV. To watch the coverage, see the highlight videos and sign up now to get the “On The Air” notices at http://www.justin.tv/superlitelive (click Follow).